Identification: It resembles a Bass in form with a pearly-silver coloration, but is different in many respects including a salmon-coloured mouth, 9 rays on the first dorsal fin and distinctive large scales, with every fourth scale set at a different angle. Large mouth. Habitat: Sandy shallows. Below 30 metres (Turkey). Food: Grey Mullets and shoaling estuarine fish, Sardines. (Further research in progress). Range: NE Atlantic coast south of the British Isles and Mediterranean Sea. Extremely rare off SW Britain. Recorded off Sweden. Able to make a drumming noise with muscles adjacent to the swim bladder that can be heard at up to 30 metres. 40 metres of water. It has been positively identified as a Maigre or Shadefish. The Mevagissey specimen weighed 1.6 kg (3.5 lb). The Meagre Drumfish, also called the Shade-fish, may still be common off the African Mediterranean and Atlantic coasts. It is still a magnificent fish. The one caught off Cornwall was only a juvenile. Adult fish can attain a length of 1.9 metres and weights of 48 kg (100 lb). It is also a fine sporting fish and extremely good eating. Because, it is reported to inhabit shallow seas, it may have been over-fished off the European coast centuries ago. I would be interested to know if this fish is well known to fishermen and scientists in the Mediterranean. It is so rare in British seas that there are no angling records. A few specimens were caught in the North Sea during the 19th century. A two metre long Shadefish (a Drumfish), Argyrosomus regius, was netted off Portland Bill, Dorset, and landed at Brixham, Devon. This migratory Mediterranean fish is a rare capture in British seas. The book name Meagre or Maigre was a transcription mistake in an old book and I have discontinued its vernacular use. 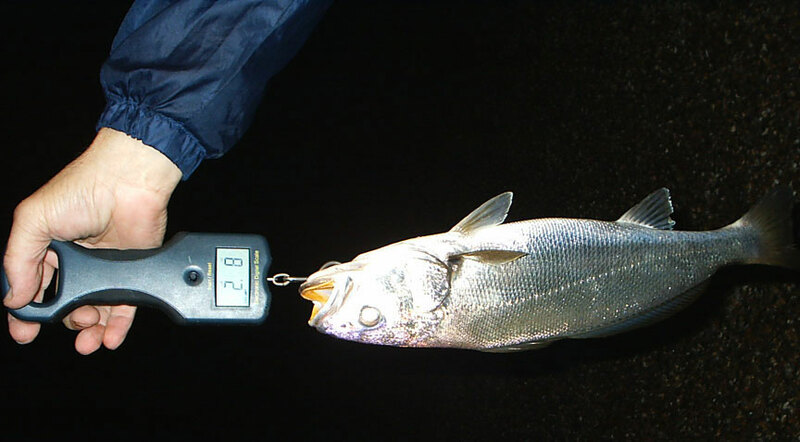 The capture was of an adult fish weighing 25 kg. 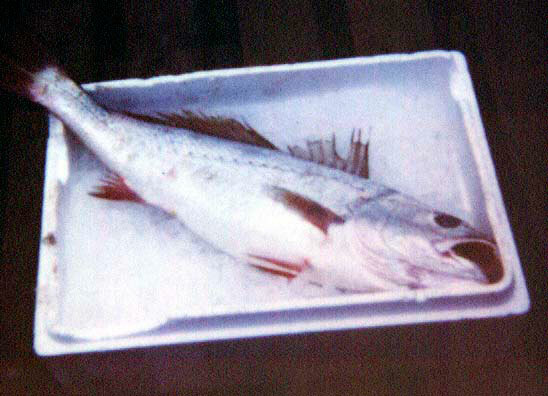 This large fish is identified by its yellow mouth. 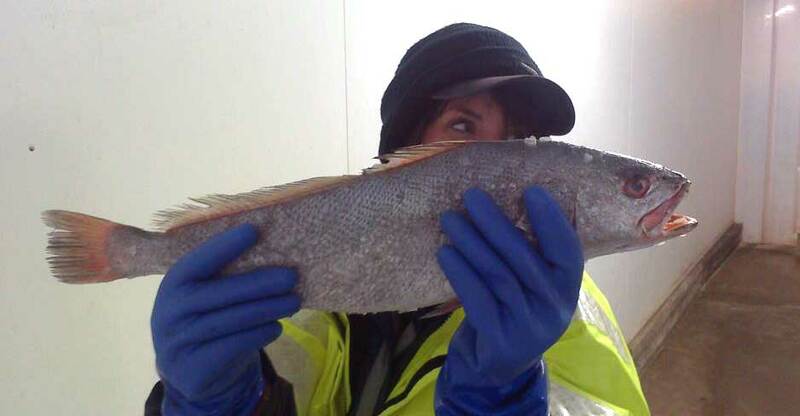 It preys on other fishes including Grey Mullet. 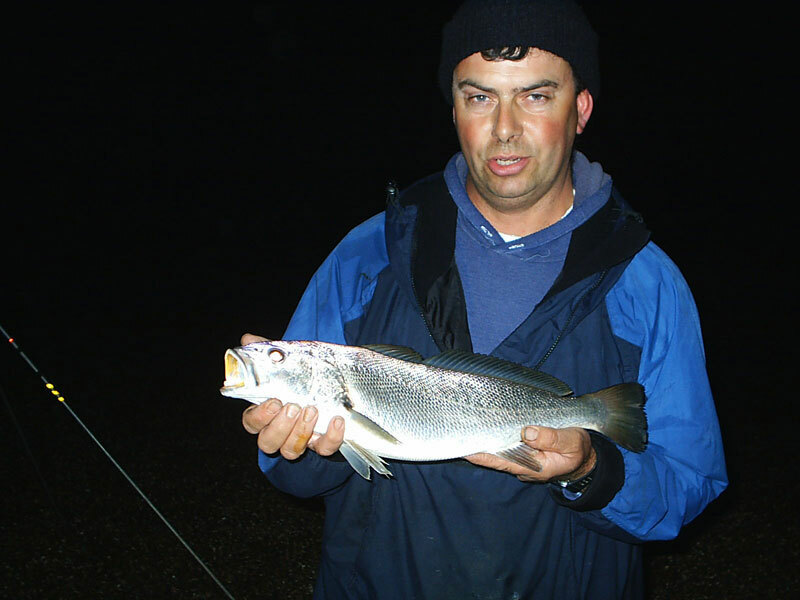 This unusual fish was caught at Abbotsbury on Chesil Beach, Dorset, on rod and line with a Pouting bait at 8.30 pm by Kevin Hill from Crediton. The yellow mouth of this Bass-like fish rather gives away its identity as the rare Meagre Drumfish, Argyrosomus regius. Chris Gilbertson (Mevagissey Marine Aquarium, Cornwall) reported an unusual fish caught in a gill net set for Cod five miles off the south Cornish coast in 40 metres of water. It has been positively identified as a Maigre or Shadefish, Argyrosomus regius. It resembles a Bass in form with a pearly-silver coloration and it is estimated to weigh about 1.6 kg (3.5 lb), but is different in many respects including a salmon-coloured mouth, 9 rays on the first dorsal fin and distinctive large scales, with every fourth scale set at a different angle. The Maigre is a member of the Drum family of fishes Sciaenidae. This must be a young fish as specimens of this species can reach 48 kg (100 lb) and may be even larger. It is a rare fish throughout its range in the Mediterranean Sea with records as far north as the English Channel extremely rare. Other names this fish may be known as include Shade-fish, Bar and Bubbler. It is reported to make a whirring noise as it swims. The common name seems unsuitable for this large predatory fish and is translated into English from the French as Meagre. 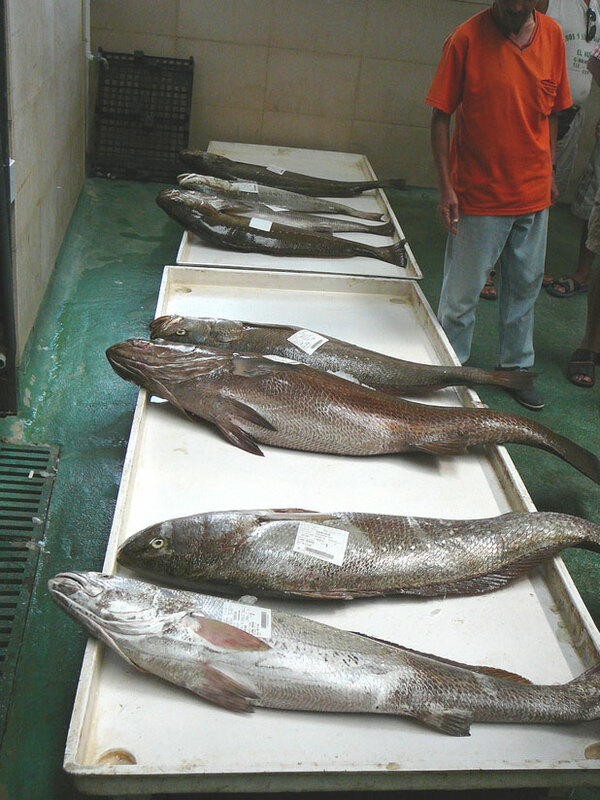 Other names according to the Fishfinder Database are Jewfish, Croaker and Salmon Bass. The Fishbase database contains more information, including an illustration, e.g. a graph of Spanish catches. I am not an expert in what concerns Meagres, Argyrosomus regius, but I noted that you asked for any information available about this fish. In the present I'm studying at Sparsholt College, Winchester, but I spent all Summer working in a restaurant in Arrifana, in the southwestern coast of Algarve, Portugal - apart from being a common fish in the local restaurants and fish markets, it used to be much more common that it is nowadays, although some big schools are reported from time to time, usually formed by "youngsters" - this same Summer I was told that a fishing boat found, in the coast off Rogil, its nets filled with 9 - 11 kg meagres, or "corvinas" in Portuguese. I had a report of other two, supposedly of much bigger size than the former, being seen by a spear fisherman, about 200 metres off the coast, just south of Arrifana. 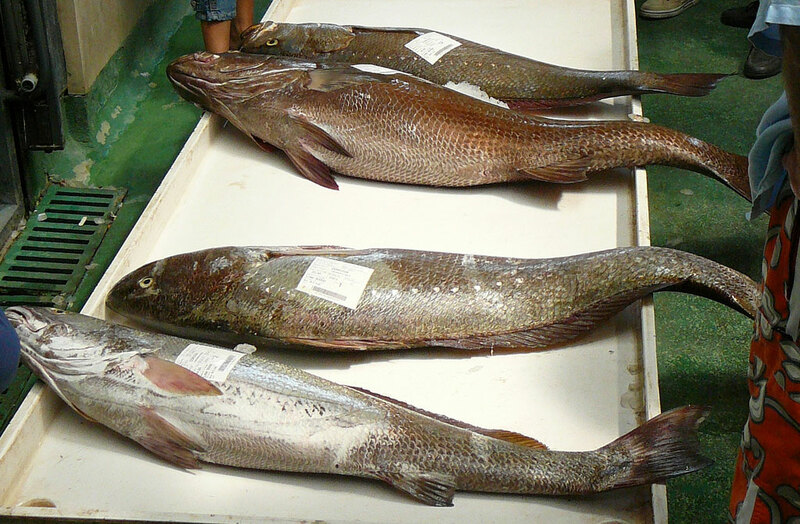 The corvinas more usually seen in the fish market in Aljezur weighed about 7-15 kg, but these were caught by the fishing boats based in Lagos, in the southern coast of Algarve. In Vila Nova de Milfontes, a coastal village of Alentejo, in the mouth of River Mira, corvinas are well known to local fishermen, as some big specimens are caught there from time to time, and in the past, they could be heard while spawning next to the bridge which crosses the river Mira - this same spot is protected, and corvinas are believed to spawn there in our days, although I don't know of any "drumming report", but as I said, I am not an expert. 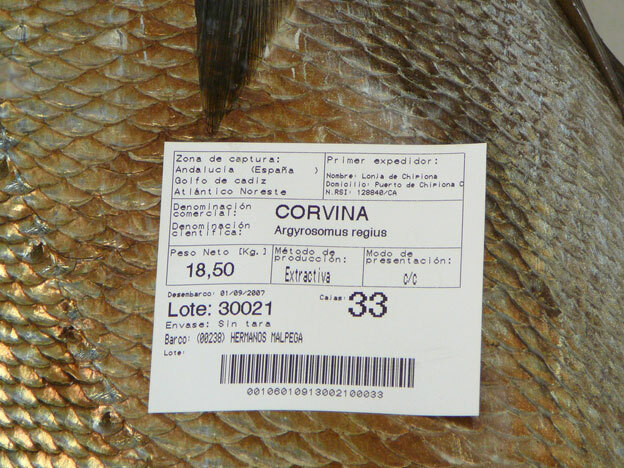 As you wanted information, I just dropped a few lines to tell you that corvinas are commercially important in the south coast of Portugal, although they are much scarcer than in the old times, according to old fishermen. 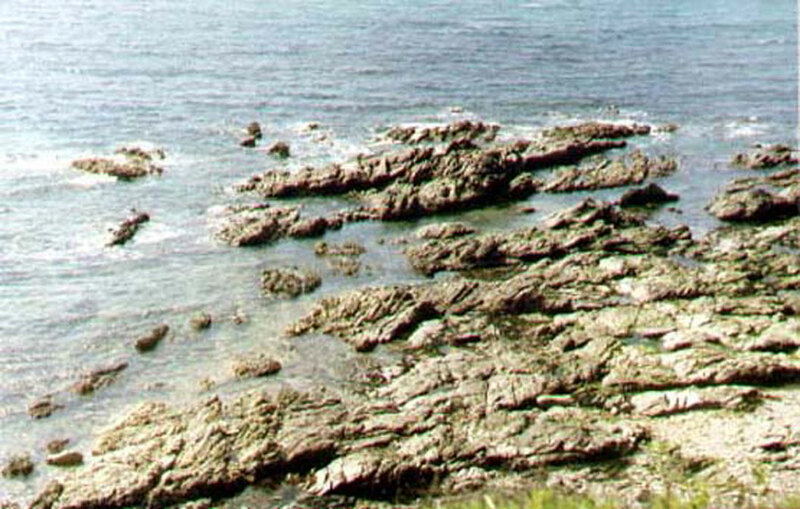 Spawning occurs from May to July in the Italian coast. Both adults and juveniles are migratory, moving longshore or offshore/onshore in response to change in water temperature. The largest size recorded is 180 cm (total length). The flesh is very good, it is a much sought-after fish. There are not aquaculture rearing still, but something is starting in the south of Tuscany. My name is Ivan Covic and I live in Split, Croatia. Although I'm not a professional in these matters, I am pretty familiar with fish species of Adriatic Sea. Meagre Drumfish, Argyrosomus regius, (Croatian: Hama, Grb - grb means insignia, badge, and hama doesn't mean anything) is one of three Adriatic species of Family Sciaenidae. Other two are Umbrina cirrosa (Cro. Koraf) and Sciaena umbra (Cro. Kavala, Vranac, Konj - that means horse). Bojana) and even in freshwater. Region of Ulcinj in Montenegro, by the mouth of River Bojana is probably the last place in Adriatic Sea where it can be found. Argyrosomus regius was a famous species among fishermen from Omis (by the mouth of River Cetina in Croatia) by its very fine flesh and being "the hardest species to catch". Saw two Meagres (sea bass Mediteranean-Sariagiz/ Granyoz in Turkey) caught by local fisherman off the coast of Foça 100 cm. long and about 35-40 kg. each. had never seen the fish before. The men told me and my husband that it was a rare catch. Looked up info on Granyoz (a corruption of Grandiose perhaps?) which took me to Sariagiz and on to your website. You wanted info from anyone who had seen them- which probably meant alive but alas-not to be! Beautiful colored scales. Very sad if they are becoming endangered. A local website tells us of a time around the end of the 80's when in one week they were caught literally in tons around the Izmir bay area; weight ranging from 4 to 12 kg. An Extraordinary Fish- Much curiosity was created in the Fish Market this morning by the exposure for sale of a very extraordinary fish, by Mrs Newman. Its dimensions alone would count for this, inasmuch as it weighed no less than sixty-seven pounds; measured five feet four inches in length; and about three feet round the thickest part. In form, it was not unlike the salmon, though differing materially from it in many other respects; for instance , it was said to be like chicken when cooked; and it had rows of very sharp teeth extending considerably down its throat-upon both sides. The monster was caught at Bonne Nuit on Thursday morning last, and bought to Mrs Newman for sale in the public market. Of course Mrs Newman satisfied herself in the first instance that it was fit for food, and after gleaning other particulars, proceeded to retail it at one shilling per pound. So great was the demand for a taste of the "monster of the deep" that by four o'clock only the head remained. It is a kind of white fish, which is seldom caught off the coast of this island; and when caught, still more seldom in the shape of such a magnificent specimen as was offered for sale today. On Tuesday Mr Savidan, of Rocquaine, while off Rocquaine fishing for Conger, caught with a line a shade fish " Sciaena Aquila" of Yarrell, measuring three feet ten inches in length, and weighing upwards of 27 lbs. English weight. The shade fish is found throughout the Mediterranean, and as far South as the West Indies, but occasionally visits our waters, being sometimes captured by fishermen on the coast of England. It is very powerful for its size, great difficulty being sometimes experienced in preventing it carrying away the line after being hooked - Guernsey Comet. Jersey Times 15 October 1884; Capture of Sciena aquila or "herring hog" or sergent fish off Gorey. I vaguely remember seeing a programme on French TV, where fishermen netted a river (Rhone?) and they were after Meagre, they caught the odd fish around 8-10 lb. All messages will receive a reply.